Toptalers in Mexico City are organizing a community gathering on May 25th at Escollo. At the event, you’ll have the opportunity to meet other Toptalers from your town, talk about projects you’re working on, and ask questions while enjoying dinner and good company. 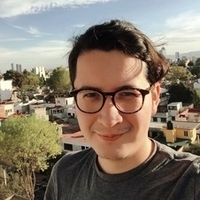 We are also excited to welcome Gabriel Pleszowski, Toptal Director of Engineering and community leader in Buenos Aires, Argentina who will be visiting and speaking at WordCamp CDMX that week. Please RSVP to give us an accurate head count. For questions regarding this event, please contact the event organizer, Jeduan Cornejo. Your message to Jeduan was sent.